There may come a time in everyone’s life that an emergency rises and would have to be dealt with. Unfortunately, said emergency may take more than a while to solve. This is more especially true if one is working quite far away from the emergency they need to tend to. For all of us who have work, this can be quite the problem. A simple leave from work may not cut it. Maybe it’s time for you to file in a temporary resignation? On this list, you will find samples of temporary resignation letters that you can use for yourself. 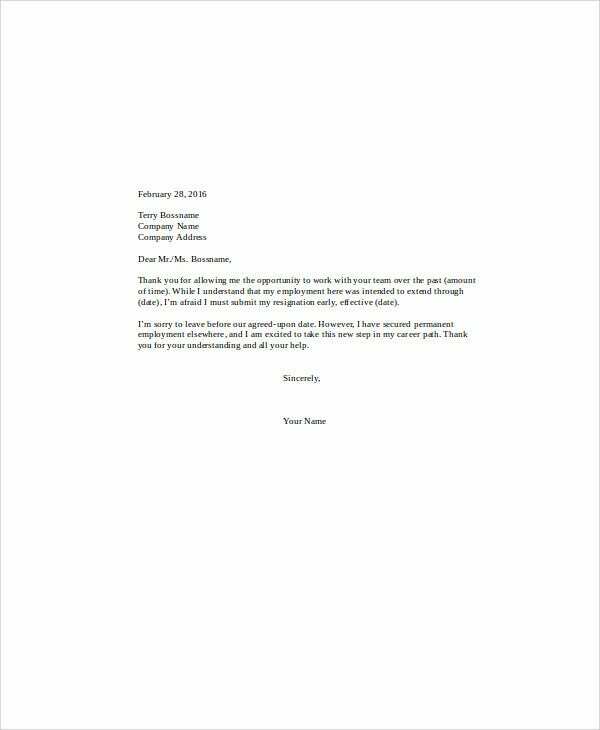 If you’d like a resignation letter that’s a little bit more permanent, then you’re looking for these Resignation Letter Templates. 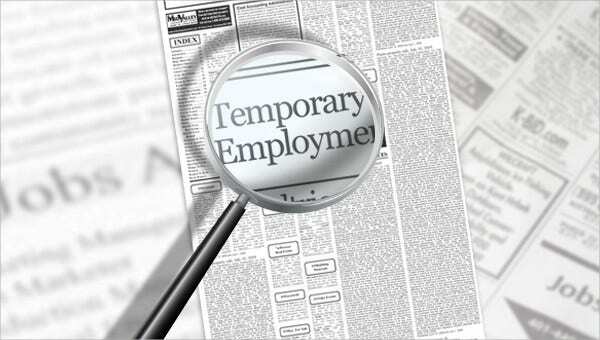 What Is a Temporary Resignation Letter? 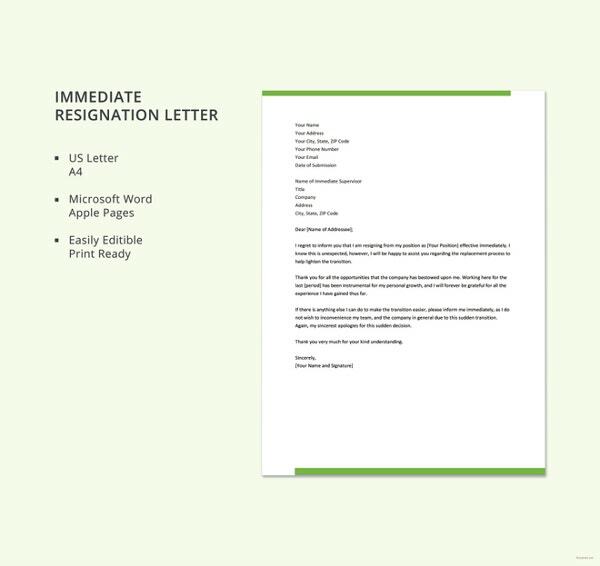 A temporary resignation letter is true to its moniker—a simple resignation letter that’s designed to inform your employers that you will be resigning from work but only temporarily. The main purpose of this letter is to help ensure that you still have a job to go back to, in case you need to take care of an emergency that may take more than a while. This letter can help you make sure that your employers don’t misunderstand your intention and replace you with someone else. Make sure to stabilize your position in your company by making sure to inform your employers that your resignation is only temporary. Writing a resignation letter for temporary can be quite the sensitive task. You need to make sure to mention why it is that you are leaving and, if possible, include just how long you will be leaving. Also, make sure to mention in your letter that you will be coming back to work. If you can, also include when you’re going to come back to work exactly. If you can, try to include every important detail so that your employer will understand why you decided to leave the company for a while. This can help you secure your position in the company for when you come back. The samples on this list should be able to provide you with a clear format of how a temporary resignation letter should be written. 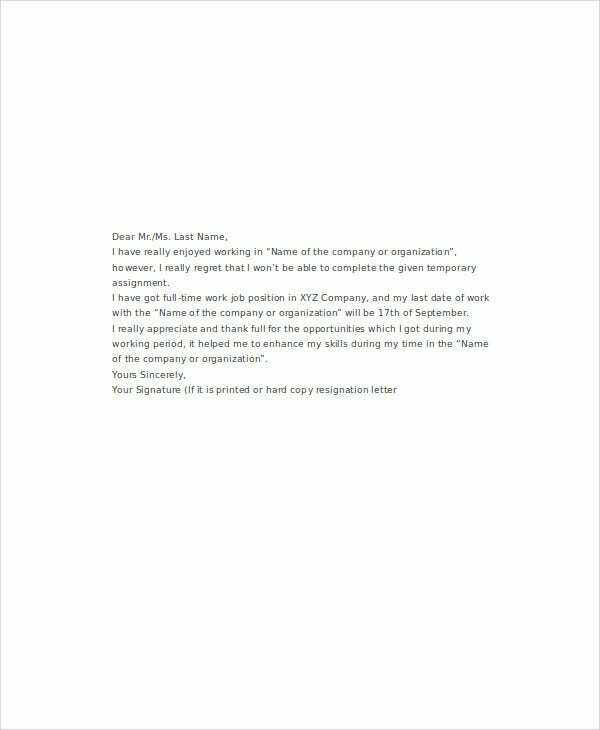 Tactfulness will serve a huge purpose to making this temporary resignation letter work its charm. It’ll hardly be understandable if you give your letter the exact moment you need to leave. If possible, make sure to give it as soon as you can or as soon as you heard the emergency. In most cases, a little over two weeks before you leave work is mostly recommended. Time can play a huge factor into helping you keep your job. 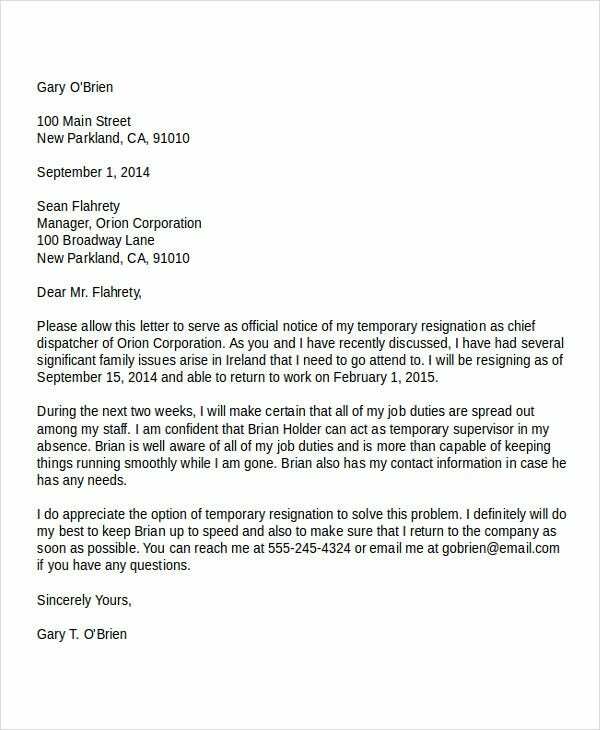 If you take it for granted and just give the temporary resignation letter Example at your leisure, it may not end well for yourself. Please take note to use this letter only when you really need to. Consider your situation first. There you go. Hope this list helped you create the proper temporary resignation letter for yourself. 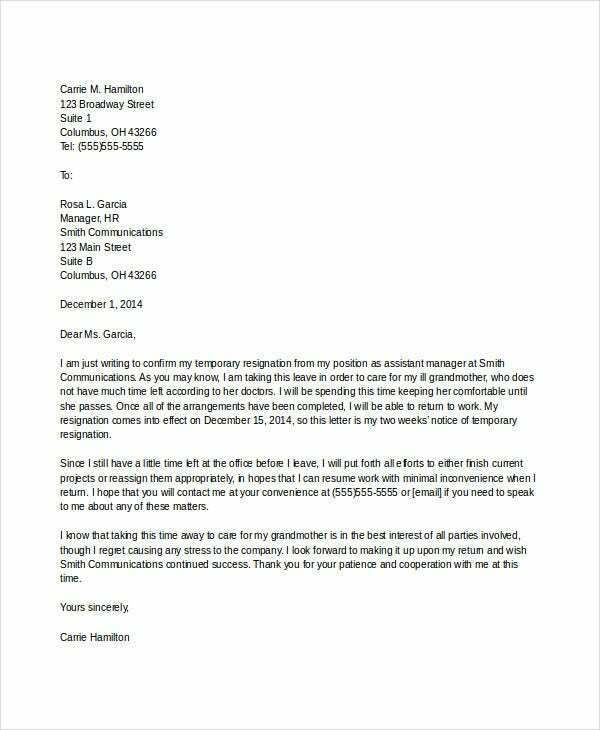 Speaking of letters, temporary resignation letters aren’t the only letters that are time sensitive. 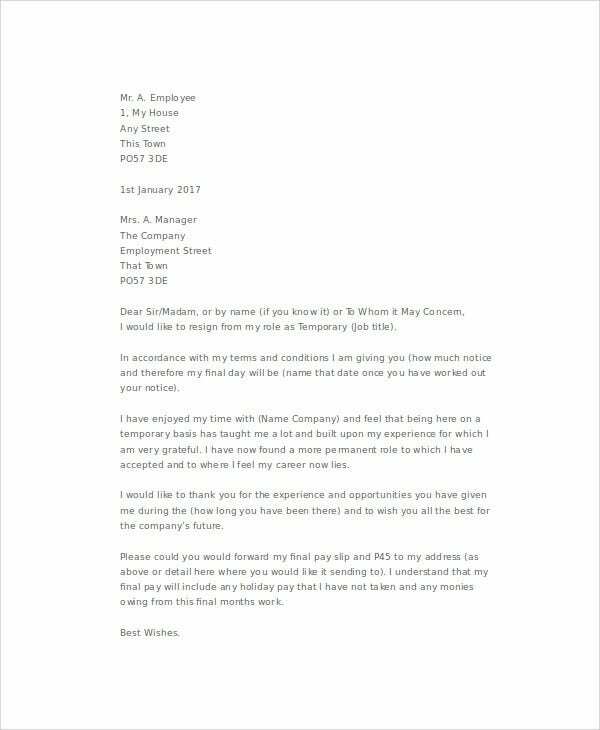 These Appointment Letter Templates also needs to be handled with care and some tactfulness. If you’re in need of those, feel free to check them out for yourself.